Ra Djan is a live-electronic duo. 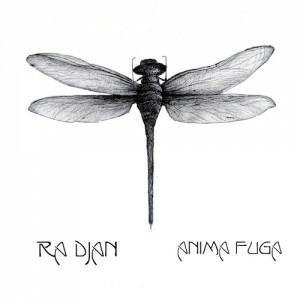 Anima Fuga is a good representation of their style, which can be roughly defined as an eclectic mixture of psychedelic breaks, ethnic beats, shamanic mysticism, and electronic flashes. Created by Ra Djan & Misha Gimmervert. Mixed and mastered by Misha EIN Gimmervert, Take Twoo studio, Israel. Artwork by Sveta Shelest ART. MP3 Download | FLAC Download | WAV Download · Download count: 9,024. I had to just kind of skim through it this time. Sounded awesome though. Can’t wait to listen to whole thing! …If only all psy was this good … its like a dystopic cyberpunk battle to reconquer human consciousness from sentient “enlightened” machines that were programmed centuries ago by mystical aliens to govern Earth…or something like that. This music is such a great trip. Yes! Tearing boundaries! They are as a massive train either a bird through the wind! This music reminds me of an older style, like Astral Projection or Astrix, though obviously not as hard. Beautiful sound! I just liked it a lot! Definitely a new permanent feature in my album rotation. Deep sound … love it! Ra Djan – live from St. Petersburg! Maytreya is a number of the beast! Superb ! LOVE it ! Very nice! I’m just guessing but influenced by Children Of The Bong?